While the real impact that the Cleveland Cavaliers are hoping to gain from the re-signing of LeBron James will come on the court, there is no doubt that the signing has electrified the fans, giving them a renewed sense of energy. The same fans that booed the name and burned the jersey are now falling over themselves to welcome The King home, and this is the very nature of sport. While we often think it is the player we are reacting to, it is usually the jersey that the player is wearing that has the biggest impact on our attitude. With James now back in the colours of the Cavaliers, the fans are desperate to see him in action. 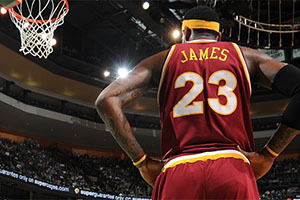 The first chance that Cavs fans will get to see James will come in the preseason game on the 15th of October. This is a home against the Indiana Pacers and a spokesperson for the Cavs has already told local media that this game is a sell-out. With the capacity of the Xavier University Cintas Center standing at 10,250, there is clearly a lot of interest in people wanting to see a game that is nothing more than a warm-up. The tickets sold out very quickly after they went to general sale, an indication that this is a game that the Cavs fans, and basketball fans in the local area, are keen to see. The University sold out their allocation of tickets, 3,000 in less than 10 minutes and the 900 tickets that were set aside for students were snapped up in seconds as well. With the general sale, queues were snaking around the block long before they went on sale as people realised that this was an event that people wanted to see. Whether students were queuing up to grab their own tickets or to buy tickets with the hope of making a profit at a later date, who knows, but there was a palpable sense of excitement surrounding the release of these tickets, and the return of LeBron. 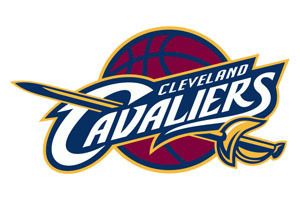 The Cavs game on the 20th of October, where they play the Chicago Bulls at the Value City Arena at Ohio State University has also sold out. This is a venue that holds close to 20,000 people so there is no doubt that the Cavs are going to be a major draw this season. If this is the sort of demand the club is experiencing for their pre-season games, can you imagine the level of interest they are going to receive when the action gets underway! The Cavs preseason doesn’t officially get underway until the 5th of October but the club will host their annual media day on Friday the 26th of September in Cleveland. The last time the Cavs played a preseason game at the Cintas Center was well over 10 years ago, back in October of 2001. The opposition at that time was the New Jersey Nets. The arena won’t be a total surprise to the side though as they used the Cintas Center as a practice venue last season before they took on the Wizards at the US Bank Arena. The US Bank Arena has been a more familiar preseason home for the Cavs in recent years. The team played there in 2010, 2011, 2012 and 2013, all years when they were missing James, who was in Miami at the time. The excitement and focus on LeBron James is going to be huge in the next few months and it seems as though basketball fans cannot wait to see him in action.